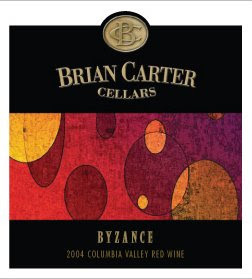 Summary: Brian Carter Cellars, located in Woodinville, Washington, makes a number of wines that are completely unique in the state. Carter is known for his exceptional blending skills. The winery makes a Super Tuscan, a Southern Rhône-style blend, two Bordeaux blends, and a white wine that is a blend of Roussane, Riesling and Viognier. Carter’s wines are always interesting and at times transcendent. I found the current release of the Abracadabra – a wine I had enjoyed greatly in previous vintages – a bit disappointing unfortunately. Perhaps I’ll give it a mulligan given its track record. The Byzance – French for “luxurious” - is a Southern Rhône-style blend composed of Grenache, Syrah, and Mourvedre. A fascinating nose with black pepper, boysenberry. The taste is a little disappointing, somewhat thin in the middle and seemingly disconnected from the nose. 13.9% alcohol. 578 cases produced. Tar, floral aromas, and spice on the nose. On the taste, this is a pleasing, medium-bodied wine that is a bit sharp toward the end. 57% Grenache, 22% Syrah, 21% Mourvedre. 13.3% alcohol. 331 cases produced.